Perhaps you’ve clapped eyes on the gorgeous treehouse loft bed Jools Oliver snapped up for six-year-old Buddy Bear? Well we’ve tracked it down, in case you were curious to know more! Hot on the heels of Jools’ highly coveted nappy bag, we bring you Buddy Bear’s beautiful bunk! Jools has shared a couple of photos of Buddy’s bed on Instagram, and it was so nice we knew we had to find out more. So we did. These amazing beds are designed and manufactured by a Belgian company, Mathy by Bols, and sold through various stockists across the globe. 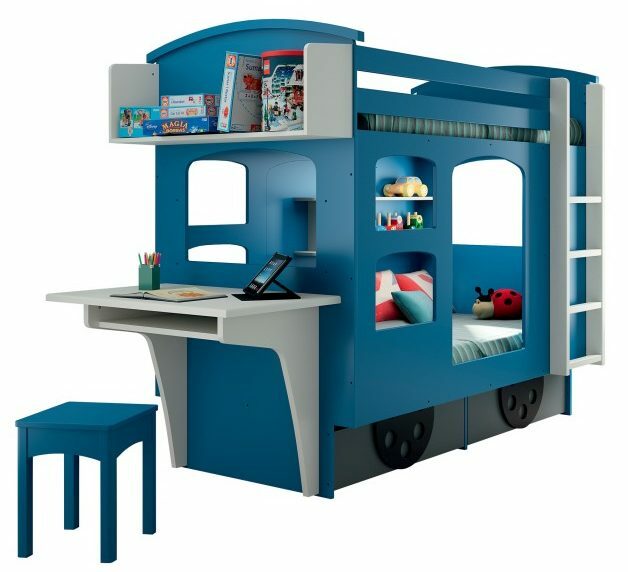 You’ll find Buddy’s treehouse on their website, but also some other pretty swoonworthy options including a caravan bed, a wagon bed and a tent-like camping themed bed. And that’s just for starters! Proving the Belgians are very, very good at things other than chocolate, these loft and bunk-style beds are not only beautiful to look at, they’re crafted with a firm eye on sustainability, too. 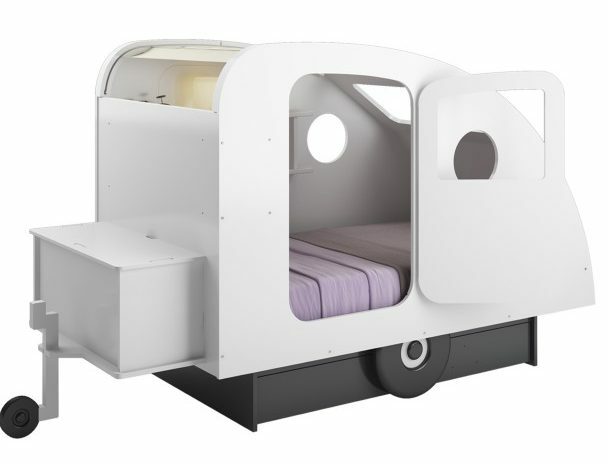 The Mathy By Bols award-winning Treehouse Cabin Bed, Tent Bed and Caravan Bed are all designed by genius gent Francois Lamazerolles. Of course, as you’d expect, such “unique charm” does not come cheap. Mini Objects of Desire are retailing the Treehouse Bed for a tick over $2200. 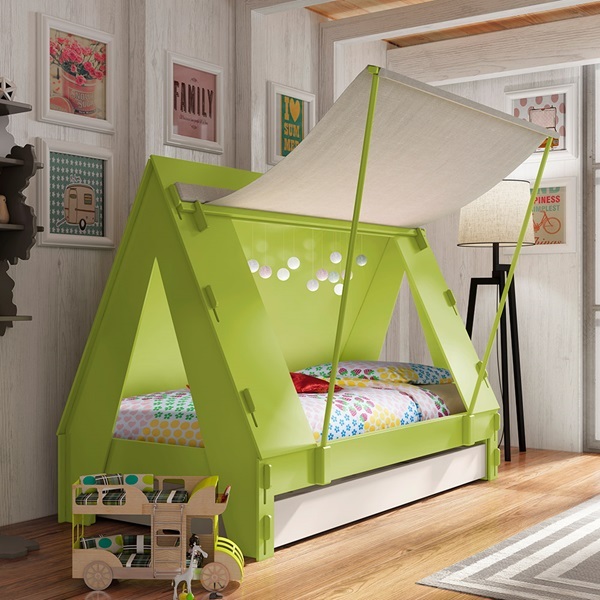 The Tent Bed comes in at just over $1800 and the Caravan Bed $2100. We’re sort of wishing they came in grown-up sizes too, not gonna lie. If Buddy Oliver’s experience is anything to go by, these beds are made of life-transforming, magical stuff!